Forest Garden 7 x 5 Overlap Pressure Treated Apex Shed: This Forest Garden Overlap Pressure Treated Garden Shed is perfect if you need to store more sizable garden equipment. The longer dimension on this shed refers to the front wall with the double door and the shorter dimension refers to the side wall with the single window. The double door on this shed has a Z framing to give it additional strength and security and the window has polycarbonate glazing which will not break or go brittle over time. This shed benefits from being pressure treated meaning that there is no need to apply treatment to it. The panels are rough sawn and are constructed from overlap timber which is square cut to allow rainwater to run off the building more effectively. To provide you with an attractive finish this wooden shed has smooth planed barge boards and finial. 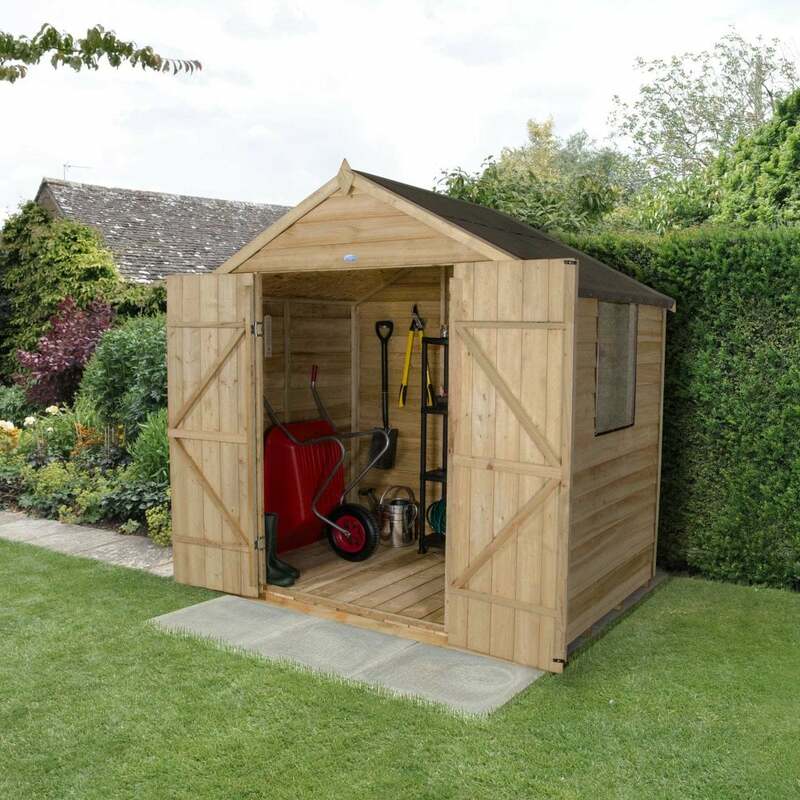 This garden shed has secure hidden door hinges and a hasp and staple lock to provide peace of mind for storing your tools and equipment inside. This shed is delivered in sections with full instructions making it simple for self-assembly.